«LE COMBAT ET LA PERSECUTION DU PRISONNIER POLITIQUE EUGENE DIOMI NDONGALA»: un harcèlement politico-judiciaire violent et de longue date contre un leader de l’opposition RDCongolaise | Démocratie Chrétienne, D.C. Le jour prévu pour la cérémonie de la signature de la Charte Constitutive de la MPP par plusieurs dizaines de parti politiques et organisations de la société civile, le 27 juin 2012, il fut enlevé et détenu au secret, dans des très pénibles conditions, pendant trois mois. 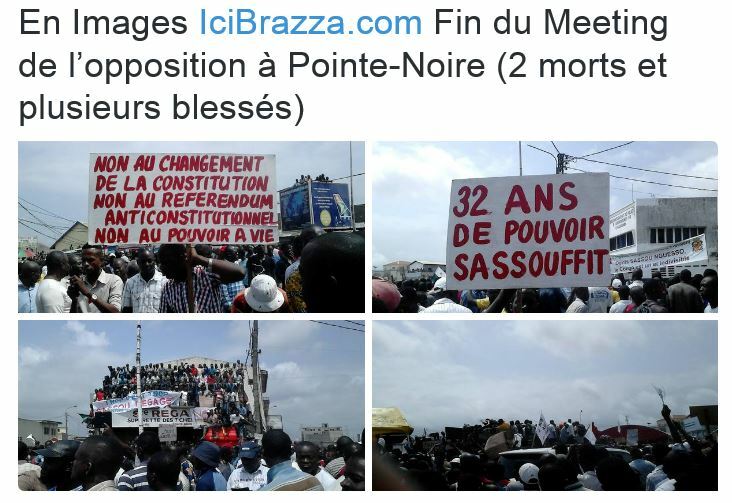 Au même moment, le siège de la Démocratie Chrétienne fut occupé par la police et jamais rendu, jusqu’ au jour d’ hui. 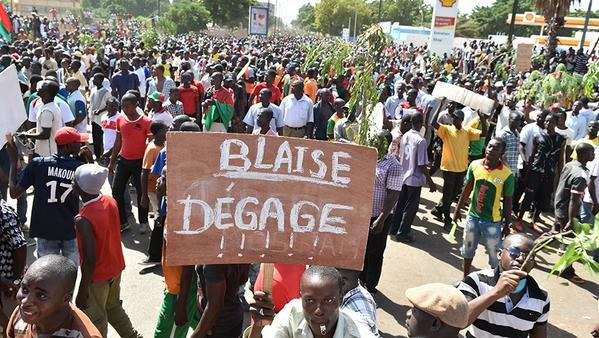 Libéré à la suite des fortes pressions exercées surtout par le président François Hollande, à la veille du sommet de la francophonie qui se déroula à Kinshasa en octobre 2012, Eugène Diomi Ndongala n’a jamais renoncé à exercer des activités politiques en tant que leader de l’opposition, otage du système Kabiliste, à cause de ses opinions politiques ancrées sur la défense des principes démocratiques et de l’état de droit. Condamné à 10 ans de prison, sans droit de recours ni d’appel, au cours d’un procès bidon, sans preuves, sans aucun respect des droits de la défense, sans plaidoiries des avocats, bref, par un procès politique téléguidé et tenu nuitamment à huis clos, par une chambre de la Cour Suprême de Justice irrégulièrement composée par 5 juges plutôt que 7, comme il aurait dû être le cas selon la Loi Cadre régissant le fonctionnement et la composition de la Cour de Cassation; ce qui rend sa condamnation nulle en droit. The National President of the Christian Democracy, the Honorable Eugène Diomi Ndongala renounced, at the end of 2010, to present his candidacy for the presidential election in favor of the President of the UDPS, Mr. Etienne Tshisekedi. At the same time, in support of Mr. Tshisekedi, he organized the electoral platform named « Sacred Union for Alternation (USA). Elected national deputy in 2012, he decided to boycott the National Assembly as a protest for the lack of credibility of the presidential and legislative elections of 2011, tainted by serious irregularities. In support of President Etienne Tshisekedi, he also organized a platform demanding for the truth of the polls named « People’s Presidential Majority (MPP). The day scheduled for the signing ceremony of the MPP Constitutive Charter by several dozen political parties and civil society organizations, on June 27, 2012, Diomi was abducted and held incommunicado under very precarious conditions for three months. At the same time, the headquarter of Christian Democracy was occupied by the police and was never returned to the party to this day. Liberated by the strong pressure exerted especially by President François Hollande, on the eve of the Francophonie Summit held in Kinshasa in October 2012, Eugène Diomi Ndongala never gave up political activities as an opposition leader hostage of the Kabilist system, because of his political views, which are rooted in the defense of democratic principles and the rule of law. He was abducted on the night of April 8, 2013, and later charged with fictitious accusations and undermining state security, both charges insubstantial and fabricated. Diomi was sentenced to 10 years in prison, in a fallacious trial without the right of appeal, evidences, respect for the rights of the defense, and without the pleadings of lawyers. In brief, He was sentenced in a political process controlled and held behind closed doors, by a chamber of Supreme Court of Justice abnormally composed by only 5 judges rather than 7, as it should have been the case according to the Framework Law governing the functioning and composition of the Court of Cassation; which renders his conviction void in law. During his detention, because of the physical and moral tortures endured, he underwent surgical interventions in emergencies, due to the aggravation of his state of health resulting from repeated refusals to grant him appropriate care, to the point of being hospitalized « in extremis”, in April 2015, due to serious heart conditions for which he received only palliative care to this day. A written request from the European Union to release him, dated April 2017, addressed to the Congolese government, remained unanswered by the executive in place. In September 2014, the Honorable Eugène Diomi Ndongala lodged a complaint with the United Nations Human Rights Committee (UNHRC) which, during a contradictory procedure that lasted more than two years, and resulted in the condemnation of the DRC. 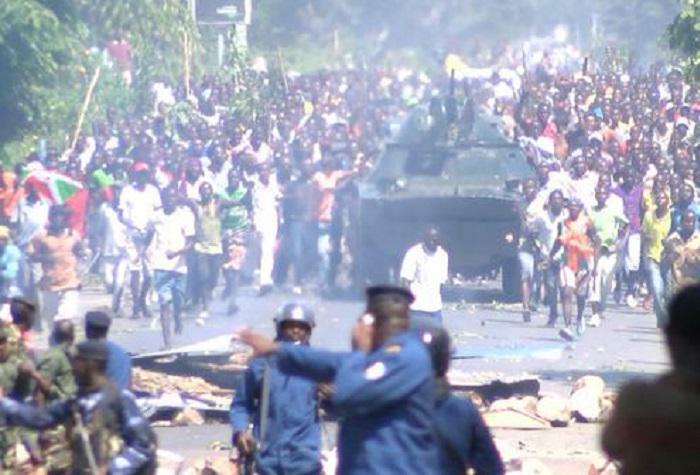 The UNHRC pronounced its sentence against the DRC following the violation of 98 provisions of the International Covenant on Civil and Political Rights and the Optional Protocol to the said Covenant. The UNHRC decided, by its decision N ° 2465/2014 of November 16, 2016, for the immediate release, cancellation of the iniquitous, rogue condemnation and the compensation of the Honorable Eugène Diomi Ndongala. During the 35th and 36th sessions of the UN Human Rights Council in Geneva, the Government of the DRC, represented by Ms. Mushobekwa, Minister of Human Rights, agreed to give full effect to the decision 2465/2016 of the UNHRC but this commitment decision remains unfulfilled. The report on the implementation of this decision, which should have been transmitted to the rapporteur appointed by the UNHRC in order to monitor the implementation of Decision No. 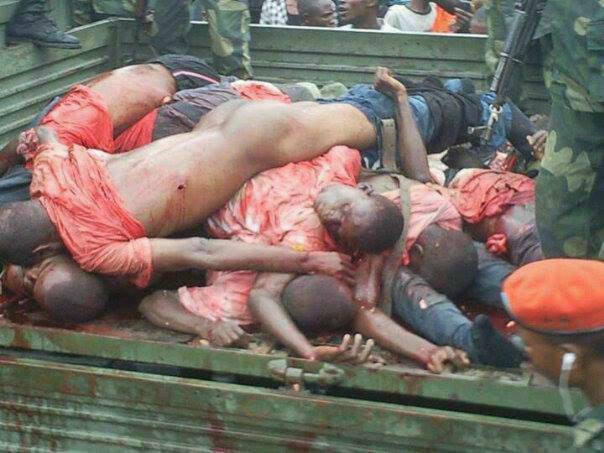 2465/2016, was never transmitted to the United Nations Human Rights Council, contrary to the commitment made by the Congolese executive. In May 2017, the National Commission of Human Rights of the Democratic Republic of Congo, CNDH-DRC, seized by the Honorable Eugène Diomi Ndongala by virtue of its competence of Institution of support to the Democracy in charge of the interpretation of international human rights treaties, formally declared, in writing, for the full implementation of UNHRC decision 2465/2014, by the Congolese State, in accordance with Article 215 of the Constitution and in compliance with the international obligations of the DRC. The CNDH-DRC, by correspondence dated 29 May 2017 addressed to the Ministers of Justice and Human Rights, also advised the Congolese authorities on the procedure to be followed for the implementation of UNHRC decision 2465/2014 as binding decision for the DRC, in accordance with art. 215 of the Constitution of the DRC. This has remained unfulfilled to this day. 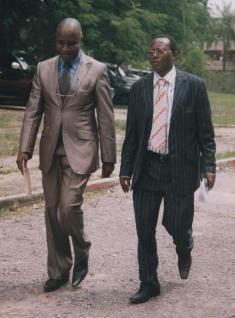 In December 2016, the New Sylvester Political Accord, signed by the political opposition and the majority Kabilist, under the moderation of the Catholic Bishops gathered in the National Episcopal Conference of Congo (CENCO) agreed to the adoption of measures of political relaxation, citing particularly the names of political prisoners, defined as emblematic, who should have been released at the end of the negotiations. The National President of the Christian Democracy, the Honorable Eugène Diomi Ndongala is mentioned by name in chapter V of the Political Agreement of 12/31/2016 among the emblematic political prisoners benefiting from the measures of political relaxation agreed at the end of the negotiations. Chapter V of the New Year’s Eve Agreement has remained a dead letter to this day. In the last General Assembly held in Saint Petersburg, the Inter-Parliamentary Union (IPU) has adopted the resolution No. DRC71 on October 18, 2017, concerning the case of the deputy Eugène Diomi Ndongala. IPU reconstructed the history of violent and long-standing political harassment of which Diomi has remained a victim since 2012 and demanded its immediate release, while recalling that the parliamentary authorities of the DRC had undertaken to do so, in writing, in correspondence addressed to the governing bodies of the IPU, for three years. 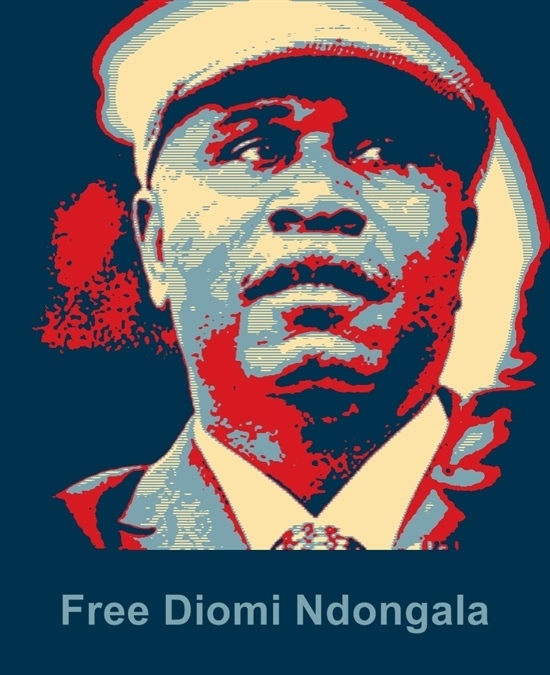 In August 2017, the World Organization against Torture (OMCT) issued a World Appeal for the release of political prisoner Eugène Diomi Ndongala, his illegal detention being considered a form of torture imposed on Diomi. Previously, both Amnesty International and Human Right Watch had commented on his case. 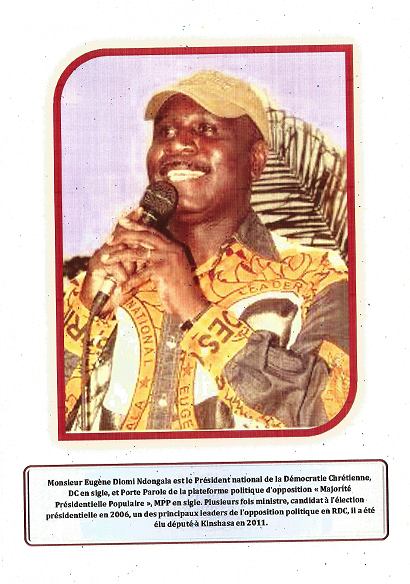 Release the emblematic political prisoner Eugene Diomi Ndongala and JUSTICE will prevail.